Hello, I made this canvas and would love to hear some opinions about it. The front is covered with concrete, which is surprisingly flexible. It is about 130cm*60cm and weighs a little over 5kg. After I sprayed it with some motives it now perfectly holds on my wall with 3 screws. Concrete is excellent in compression, but very poor in tension. In this circumstance neither of the two forces are at play, but it may have a tendency to crack when as it continues to dry. I think it looks ace, all you need now is some art to go on it, I'd be happy to oblige. 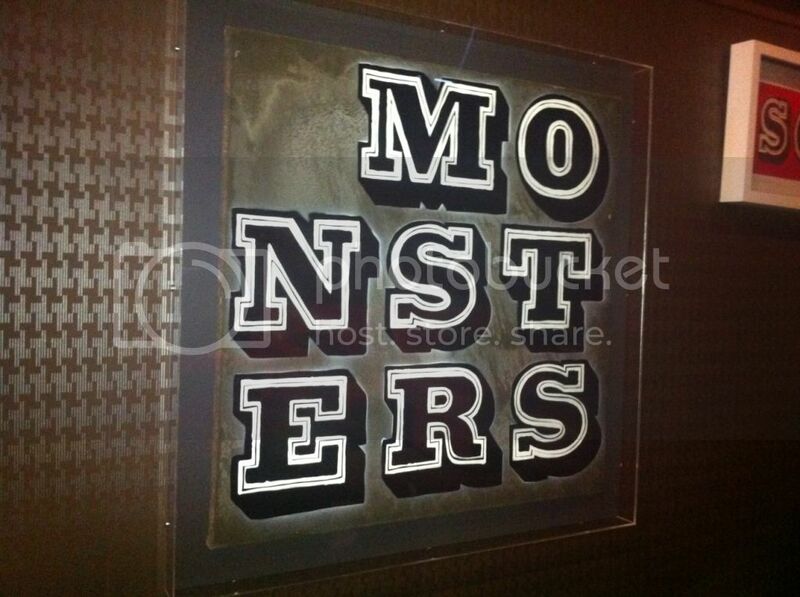 Ben Eine has done some nice concrete primed canvases. 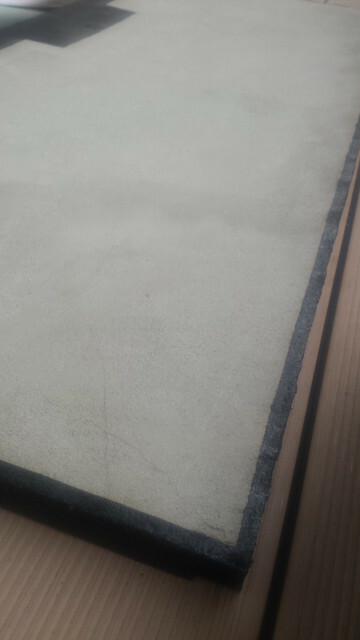 Tabby has done concrete on wood.. Figure the wood is a little more sturdy as a base. 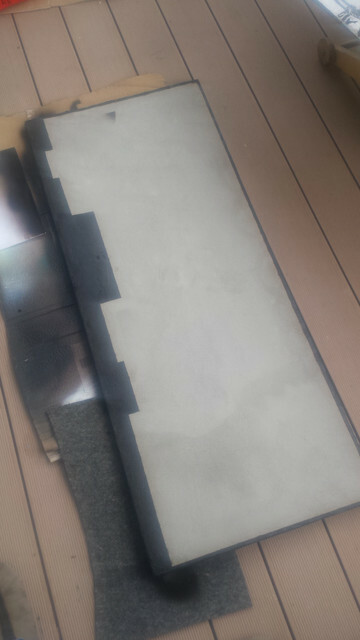 Last year i make some concrete tiles 5mm - 1 cm thickness and was a good results. Now i have some co-work with BLEKFROK concrete and soon will be out,i will chare with you. Also if know Papercrete is also good way to make something cool. Been away and just picked up on this. 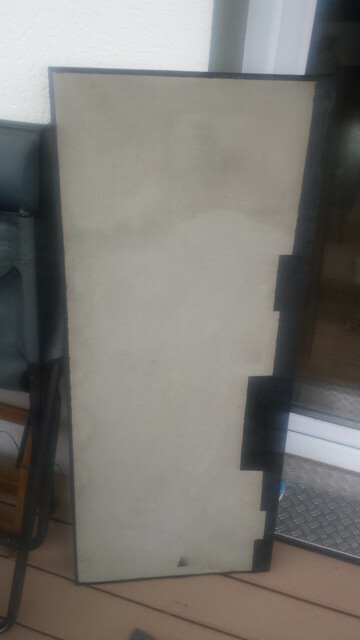 Here's one of my Eines... this is a canvas primed with concrete and a fabulous 'real wall' effect. Love it.